We cure our pork legs in a Wiltshire brine, maturing them on the bone to develop a succulent taste and texture. Cooked and roasted with honey to give a delicate sweet flavour. 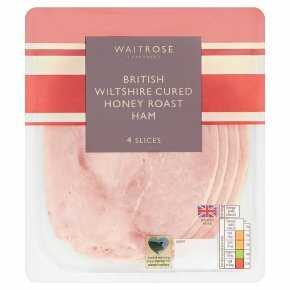 Formed from prime cuts of pork leg meat.